Please select to see full image, and then on full image to enlarge further. 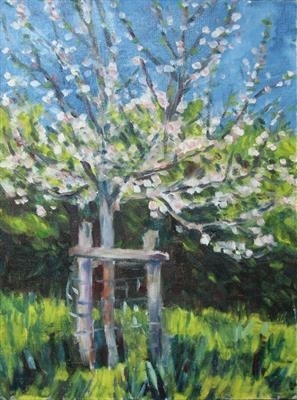 Painted on the spot, direct interaction with light and colour, apple blossom and spring weather. The colour on wood fence as important as the blossom.